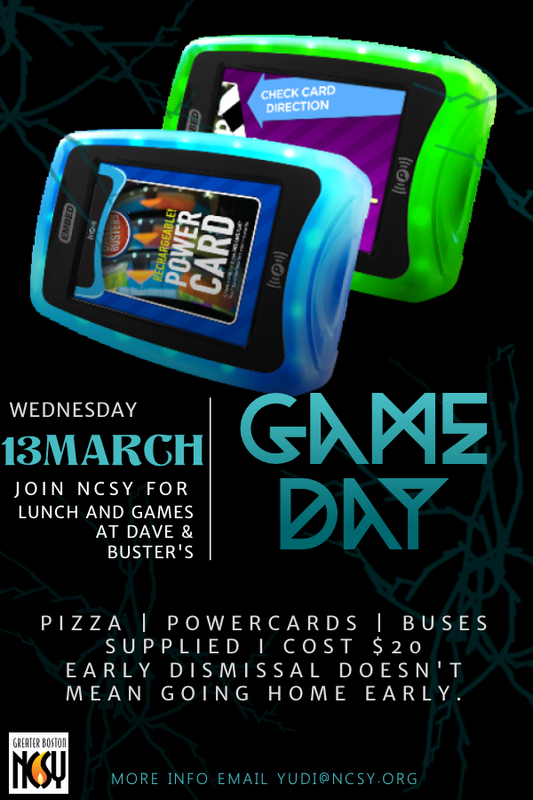 Don't know what to do after early dismissal on Wednesday, March 13th? Emtza NCSY has got you covered! We're heading to Dave & Buster's for an awesome afternoon of pizza and games! Bussing will be supplied to and from Maimonides School. Return bussing will be back in time for High School dismissal at 5:00 PM. Space on the bus is limited so sign up today!